New property taxes in Italy from 2014. The revolution of registration taxes and other taxes related to the purchase of a house in Italy. Who gains and who doesn’t? It should be noted that taxes on the purchase of a property are varied or rather complicated, as some may say. Indeed, there are different tax rules, with different tax rates, depending on what you buy (first home, second home, land, etc..), and depending on the type of seller (an individual, a private company, etc..). But in January 2014, things should be even better. With a total of € 6100. A gain of more than € 3,200! The property must be located in the municipality where the buyer resides or plans to reside within 18 months of signing the deed or in the municipality in which he carries out his main activity or, if transferred abroad for work, in which the employer has its headquarters. to establish residency within eighteen months in the municipality where the property is purchased, if not already residing there. A / 9, castles and palaces of prominent artistic and historical value. Let’s briefly review what happens if the purchase of a first home is made directly from a company that charges VAT. Currently, even the direct purchase of a “prima casa” from the manufacturer can have some attractive tax benefits. If you are entitled to “prima casa” benefits, then the rate of VAT will be reduced to 4% and the registration fee, mortgage and land registry are all a fixed amount of 168 euros each. As of January 1, 2014, there will not be many changes: the VAT rate will stay 4%, while the registration, mortgage and cadastral tax will increase to 200 euros each, so a slight increase. Mr. Mario wants to buy a new apartment in the capital from an individual company that charges VAT. Mr. Mario meets all the requirements for “prima casa” tax benefits. For a total of € 12,600. An increase of about one hundred euro in total. (7+2+1=10) which is a total of 10% of the purchase price. Under the new rules, however, things should improve: the registration tax increases to 9%, but the registration, mortgage and cadastral taxes will have a fixed amount of € 50 each. For a total of € 27,100. A total economy of almost € 3,000. The second home can be purchased through a company, a manufacturer that has very attractive prices, or a real estate company that buys and sells real estate to the public. In this case, if the company charges VAT, one must deal with this tax. Today, the VAT is a standard rate of 10% (except in the case of real estate). 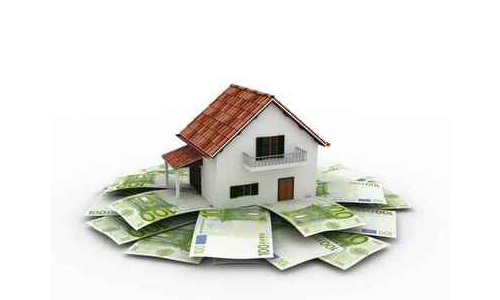 It is in addition to registration, mortgage and cadastral taxes, which have the fixed amount of EUR 168 each. From January 2014, things should remain substantially the same, the tax rate will remain the same, but the other three taxes (registration, mortgage and cadastral) will go up to 200 euros per share. A total of € 30,600. Not much of a difference!